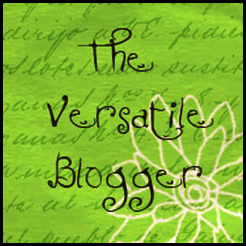 Vanessa from http://Pre-Kpages.com nominated my blog for the Versatile Blogger award! What a wonderful surprise! Thank you very much Vanessa! 1. I was born in Ireland, but came to the U.S. when I was just a few weeks old. 2. My name (Eilis) is Gaelic (Irish). It means Elizabeth and is pronounced I-Leesh. 3. I have been married to Dave for 24 years. We have three great kids. 4. I am very lucky to teach with wonderful friends. 5. I always knew I wanted to be a teacher, but listened to other people and majored in Business. Luckily, I got a second chance when I assisted in my youngest child's preschool class. 6. I am crazy about Mexican food, Pinterest, and going to beautiful places. 7. I also love my two crazy wire fox terriers, Parker and Dexter.